The university that had its beginning as “Mass Aggie” has become “the place to be” for students in the rapidly growing field of sustainable agriculture and food system studies. In a recent ranking of the “best global agricultural universities,” UMass was placed 3rd best in the United States. Long recognized for our cutting edge research, UMass is also the home to the fastest growing and largest undergraduate major in sustainable agriculture in the nation. Enrollment in the Bachelor of Sciences major in Sustainable Food and Farming has soared since being approved as a full-fledged major in 2013. Previously, the program was a concentration within another major. Due to its steady growth from just five students in 2003 to fifty students in 2013, the Sustainable Food and Farming program was approved as a stand alone major within the newly reorganized Stockbridge School of Agriculture. Since that time, enrollment in the new major has increased steadily and now stands at 130 full time students (with about one-third online). community-based and farm-based education, among others. 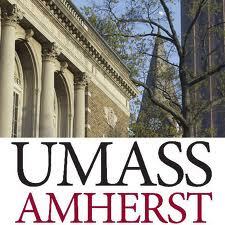 UMass Amherst has responded to this demand by adding many new classes (listed below). The major was also redesigned to be more flexible, allowing each student to custom design their plan of study for their own career interests. At the same time that Sustainable Food and Farming was attracting more student attention, the UMass College of Natural Sciences announced plans to re-vitalize the applied agriculture programs by moving faculty from the former departments of Plant and Soil Sciences, Plant Pathology, Entomology, and Animal Sciences to create a new “super-department” – the Stockbridge School of Agriculture. Building on its nearly century old tradition, the newly configured Stockbridge School has re-energized agricultural teaching, research and outreach programs at UMass. The College of Natural Sciences created the UMass Center for Agriculture and the Environment (which administers the agricultural research and extension functions of the college). Progress is also being made on a new Agricultural Learning Center, which offers hands-on education (such as the new Food for All Garden) to students at a location within walking distance of the heart of campus. In fact, many new student projects find their home at the ALC. Local food and farming is particularly important today as the world experiences the “perfect storm” of climate disruption, depletion of easily and safely extractable fossil fuel, and economic stress. Students have recognized this as an opportunity and are gravitating to the study of sustainable farming and marketing, working toward careers in local food and green businesses, urban agriculture, permaculture, herbal medicine, and related jobs in farm-based education, public policy, community development and advocacy. Recent graduates of the program have been successful in many fields of endeavor all over the world. While our students and alumni travel the world, many graduates are finding good work close to home. Unlike the rest of the U.S., the number of farms are increasing in New England and demand for local food in Massachusetts is almost ten times higher than the national average. This growth of the local food economy offers our students opportunities to gain practical experience while earning college credit toward graduation. Building on the Levi Stockbridge’s commitment to experiential learning, students in the Sustainable Food and Farming major have initiated and are actively engaged in several exciting hands-on learning projects at UMass such as the Real Food Challenge. One of the most exciting opportunities for students to get involved in a local community is the UMass Urban Agriculture and Nutrition Program which works with inner city groups in Holyoke and Worcester, MA. Students can also gain year round farming and marketing experience by participating in the UMass Student Farm, which was recently ranked the 5th best college farm in the U.S. Here is a video from the UMass Student Farming Class. Course Descriptions and requirements to complete the Bachelor of Sciences degree in Sustainable Food and Farming may be found at the Stockbridge School of Agriculture webpage. In addition to a vibrant campus program, there are almost 500 students studying Sustainable Food and Farming online from all over the world. We offer a 15-credit Certificate Program that serves the needs of active learners who can’t come to campus. We are also accepting applications for our 60-credit Associate of Science fully online degree program in Sustainable Food and Farming as well as a fully online B.D. degree. Campus students also take online classes during the summer and winter terms. The online program is particularly helpful for adults who are looking to change careers but also complements the educational experience for university undergraduates who may take these courses when they are not in class during the regular semester. All courses in the Certificate Program will count toward the new online A.S. or the on campus B.S. degrees for those individuals who choose to continue their education. A full list of online course offerings may be found here: Online Classes. Practical education built on a solid foundation of biological, ecological, and sociological sciences prepare students to explore creative options and good work in Sustainable Food and Farming. Here are a few of our students talking about their major…. Anyone interested in discussing this major or the Certificate Program should contact Program Coordinator Sarah Berquist. Many students have found the flexibility of the Sustainable Food and Farming major attractive. Contact us or check out the major here and take a look at some of our videos presenting courses and topics of interest.